Wow! I do love Mountain Dew, and it’s always annoyed me that you can’t get the same range of flavours here in the UK as our US cousins enjoy. Well, Game Fuel is at least a step in the right direction. 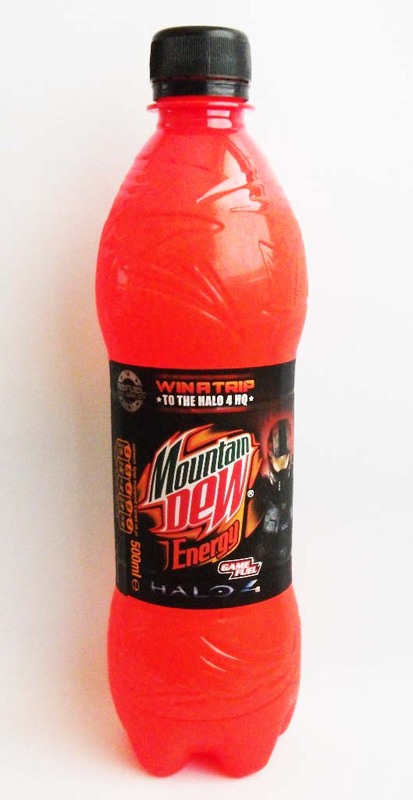 Released as a special flavour in honour of the launch of Halo 4, this Citrus and Raspberry drinks tastes awesome. Unlike most other Mountain Dew varieties, this one isn’t fluorescent in colour either. It’s fruity and refreshing, and only (compared to other energy drinks) lightly caffeinated. I hope it is a permanent addition to the range.